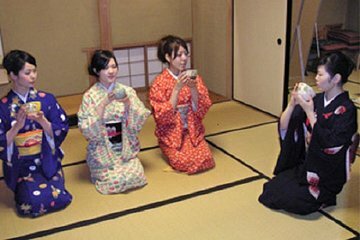 The traditional tea ceremony is an important part of Japanese culture, but it can be difficult for outsiders to join in with an authentic experience. This Osaka tour introduces you to the traditions surrounding Japanese tea and allows you to try your hand at serving the tea while dressed in a kimono. The program is aimed for people aged 6 and older. Please consult us if you accompany any children younger than 6 years old.